What does physical appearance have to do with blogging? In many industries absolute nothing. However, in regard to clothing & beauty products, appearance actually does matters. Although this may sound rude, it is generally agreed that seeing makeup and clothes on handsome people is typically a better marketing strategy. Would you rather see your favorite lipstick on a beautiful model or someone that you would under normal circumstances consider to be an "ugly" person. Yes, it is harsh to use the word ugly. However, it is a fair word to use if someone is "unpleasant or repulsive, especially in appearance". The facts are the facts. The majority of people understand the difference between ugly and attractive. OK, if you agree with me, people generally (not always) prefer to view attractive people when viewing clothes or cosmetics. 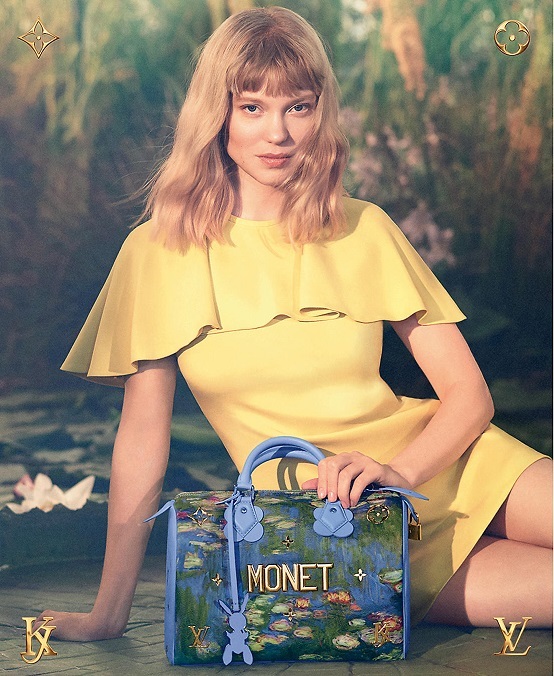 So, if that is the case in regard to marketing and promoting purchasing decisions, it is safe to say that selecting the years best fashion blogger, appearance "may" be a consideration. Some of the most popular fashion influencers of 2017 happen to be very attractive. Please note that their is no such thing as an ugly fashion blogger. Anyone who writes about clothing, footwear, beauty products or style, is obviously a gorgeous human be default. Some of us, are beautiful on the inside only. In the past, people were so interested in reading fashion news out of a magazine, and now they get all this information from social media, through influencers. Fashion influencers not only alert us to exciting new designers, but they also give us ideas on fabulous outfit ensembles. Here are a few names you may want to investigate furhterL Danielle Bernstein, Julia Engel, Chiara Ferragni, Gabi Gregg, Jenn Im, Susanna Lau, Nicolette Mason and Leandra Medine. Who has the final say about what's on-trend in fashion and what's not? Up until a few years ago, that decision came down to an exclusive club of print magazines and top-tier fashion editors. Times have changed for sure. Digital and social media has revolutionized how consumers are reached. 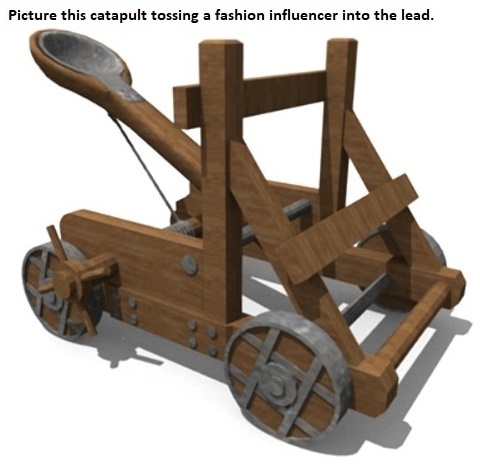 Bloggers, influencers, are now in command. With fashion being a highly visual industry, the channels that place a high focus on displaying high-quality images are obviously favored. Instagram, Facebook, Google+, etc. are the perfect medium for fashion influencers to display garments, footwear and various designs. Talking or writing about a sweater or jewelry is one thing, but showing off crisp photography really drives home the inspiration. Where do this fashion trend setters promote their writings? Their is a fine link between influencing and manipulating. Most writers walk the line carefully. However, it is hard to be sure if the author is being paid or not to write an article. If they are being paid, wouldn't that make them bias? If I were to tell you that the following companies were paying me to tell you to shop for their brands, would it matter to you? Would you trust me when I told you that these are the best brands. I think that you should purchase the Christian Louboutin Galaxtidue Flat which is a fabulous hightop shoe for men. Catapult your look this season with "Galaxtidude Flat". 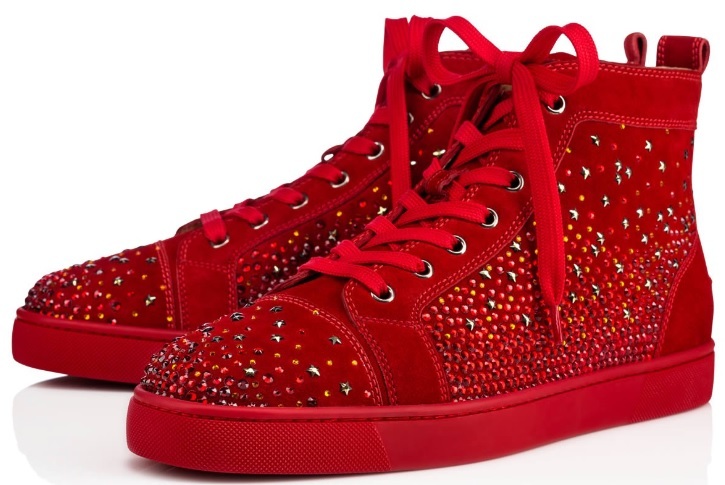 Encrusted with a celestial dusting of Swarovski crystals, this rougissime suede hightop is a Louboutin collector's item. 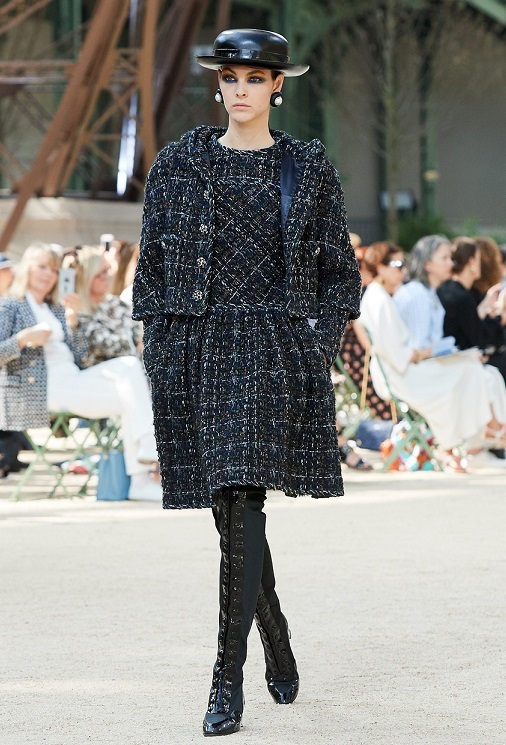 According to Karl Lagerfeld, the Chanel Fall-Winter 2017/2018 Haute Couture collection is a "vision of a revived Parisian women, it is all about cut, shapes, silhouettes". So, as the author of this fashion blog, I would like to say you would be silly if you did not head to the stores immediately to search for the following outfit. You should make the purchase at any price. By the way, neither of the companies listed above have paid me to inform you that their fashion and footwear is amazing. Who is going to lead the next generation of style trend setters? Let us know who you think will turn heads this coming year.